With the 200th anniversary of the Battle of New Orleans on January 8, 2015, explore the history of this battle, the War of 1812, and their impact on Louisiana History. LPB produced the multi-part Louisiana: A History series, featuring a vignette on the famous battle. Click on the image below to view it! When the War of 1812 ended with the ratification of the Ghent Treaty on February 14, 1815, it was recognized as a climactic victory. So important was the victory that a new, special holiday was created that rivaled the 4th of July. Because of the decisiveness of the Battle of New Orleans, January 8th became a joint national day of celebration, often referred to as the day of victory in America’s second war for independence. And indeed it was. The holiday was actually meant to commemorate three dates that were to be recognized as absolutely vital to the advancement of the young American republic: December 20th – the first date the American flag flew over Louisiana in 1803; December 23rd – the date of General Jackson’s daring night attack against the recently landed British army below New Orleans; and January 8th itself – the date when Jackson’s army crushed the veteran British Army in the most lopsided battle in history, thus ending any British vision of nullifying the Louisiana Purchase and setting America on its rise to globalism. For the first 100 years following the Battle of New Orleans, virtually no one misunderstood the results of or outcome of the War of 1812. But during the second 100 years, the ugly head of revisionism stuck its nose under the tent and created an opening for flawed historians and writers to present far-fetched conclusions, not supported with facts or diligent research. They could aptly be labeled “proclamation historians” because of their proclivity to abandon research in pursuit of nonsensical schemes and theses. These “proclaimers” swept to their conclusions by sweeping aside the facts contained in American and British State papers, debates in Congress and Parliament, the writings and memoirs of those involved at the time both at the political and military levels, and the twenty year practice of Britain’s enslavement and impressment of American seamen and hundreds of ship seizing’s. They also ignored the mountains of evidence contained in contemporary journals, and even the very wording of the proposed treat of Ghent. The war of 1812, especially the grand offensive planned for 1814-15, was an all-out offensive by great Britain against the United states to bring about four objectives: punish, to the maximum, the United States for waging war against the Crown; seize New Orleans and the Mississippi River to control trade in the United States and stop American expansion; nullify the Louisiana Purchase which Britain always considered illegal; and to seize and occupy the Florida territory between New Orleans and Pensacola. Their plans explicitly state these objectives. The attacks at Washington, Lake Champlain, Baltimore and New Orleans were all coordinated to bring about this goal. 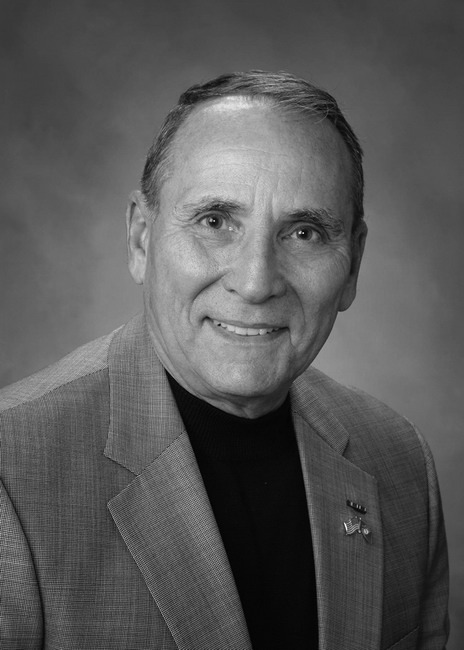 Ronald J. Drez is an award-winning author and former U.S. Marine Captain who served in combat in Vietnam. Drez’s recent book, The War of 1812, Conflict and Deception offers a perspective of the British attempt to seize New Orleans and void the Louisiana Purchase.